Your support of our families at the holidays and throughout the year is greatly appreciated! You can also order gift cards online and have them directly shipped to us! Click on the links below to order gift cards online and have them sent directly to us! 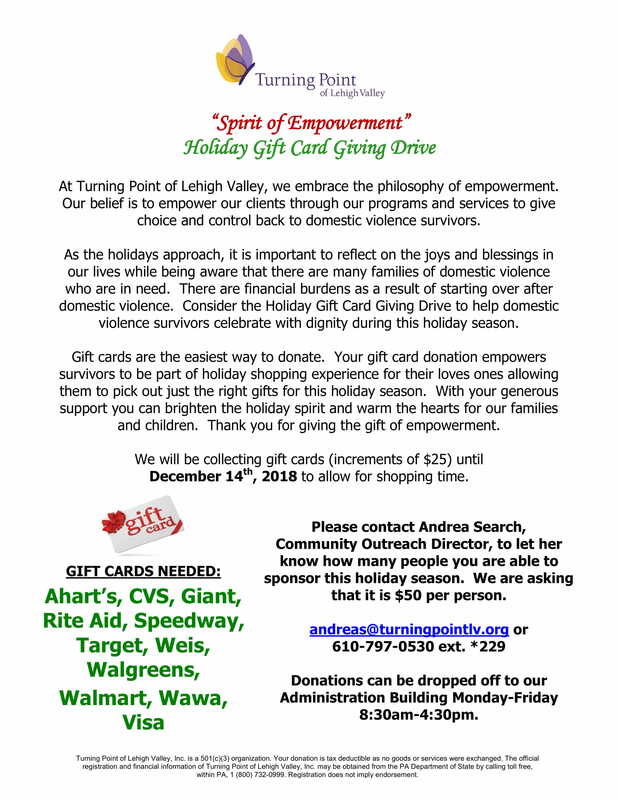 Turning Point of Lehigh Valley, Community Outreach Director, 444 E. Susquehanna Street, Allentown, PA 18103.